Fairmont Maldives Sirru Fen Fushi is a 120 luxury all-villa resort that offers exactly as its name translates - Secret Water Island. 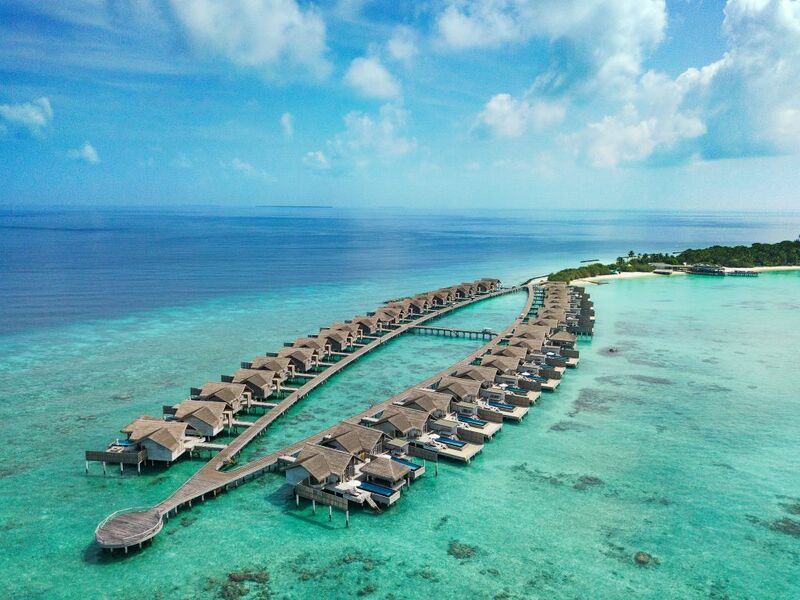 The island covers approximately 160,000m² (16 hectares) of land and features one of the largest lagoons in the Maldives, while the resort includes a 200-metre long swimming pool which traverses the length of the island, reinvigorating destination spa and an intricate open air bamboo bar created by Balinese artisans who did not use any man-made materials in the structure. Relax into the natural elegance of our rustic chic Beach and Water Villas, with private pool. RAHA MARKET RESTAURANT featuring multiple live cooking stations including a Farmer's Station, a Butcher Station, dry aged meat and smoked fish cured in-house, a Dairy Pantry, and a Baker's Corner.